The Late Show with Stephen Colbert hosted a blasphemous segment with New Age Oprah that they called, “‘Oprah Winfrey gets some career advice from a slightly less famous figure: the Lord.” During the show, they openly mocked God and Jesus. As the show opens, Steven Colbert begins to introduce Oprah, but she interrupts before he can say her name. “We’re here with” Colbert begins, then Oprah blurts out, “God.” Colbert continues, “Miss Oprah Winfrey.” Being that there was a skit planned with a character “god” later in the segment, many would wipe this off, but with all the hype around Oprah and proof that she has denied Jesus and is aligning with new age guru Eckhart Tolle, we have to wonder if she was really joking or not. Steven Colbert questions Oprah on if she is running for president in 2020, a rumor that circulated, and got liberals everywhere further enchanted with their icon. Oprah replies that she would have to “know it” and says that she’s very in touch with the voice of God. When Democrats began to see her as their potential candidate, Oprah told US Magazine that she “went into prayer.” Saying, “God, if you think I’m supposed to run, you gotta tell me, and it has to be so clear that not even I can miss it. And I haven’t gotten that yet”. She confirmed that she still had yet to receive the sign she prayed for. And then, the cameras go to the ceiling where a projection of what Colbert’s idea of God must be. The projection shows a tired looking old man who says in a Barney sounding voice that he’s a huge fan “wow Oprah knows who I am, I can’t wait to tell Jesus.” The audience erupts in laughter. Subscribe to the Christian Journal Daily and get the latest news from around the world straight in your inbox. Is this really what our culture finds funny? Mocking God and Jesus and acting as if our creator is akin to a child’s story that we grow out of like the Easter bunny or Santa? The show reduced itself to mocking the Bible by comparing it to the novels picked by Oprah as her favorites and put in her book club. 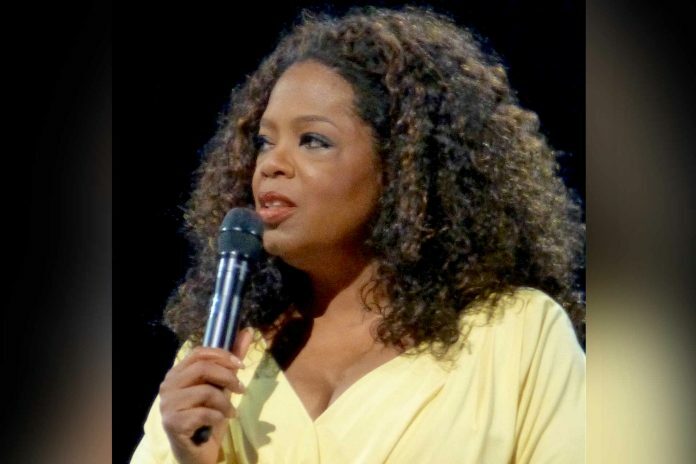 On her talk show, Oprah spoke of her New Age beliefs. One of her audience members was passed the mic to express her Biblical belief that there are two forces, our God that we can depend on and the power of darkness. She explains to Oprah that we are either on one path or the other. Going back to the segment from the show, Oprah then debates another audience member who says, “There is one way and only one way, and that is through Jesus. If you don’t believe that, you’re all buying into the lie. Jesus cannot come back until that Gospel is preached in the four corners of this earth.” After such a statement, Oprah’s arguments are null and void and she ends the segment. In conclusion, Oprah Winfrey has set the stage for not only herself to be seen as a goddess, but for every other person to believe themselves to be a god/goddess. This is the ultimate lie brought about by the New Age movement. It is the original lie Satan told to Adam and Eve in Genesis 3:5, “ye shall be as gods.” This belief draws many away from the father as they begin to practice and believe in their own ‘divinity’ instead of recognizing that God, our creator, is above all, and it is He that should be revered, not us. In a desperate attempt to give Oprah the sign from God she has asked for before running for president in 2020, a Maine resident who has changed her name to Jesus Christ sent her a letter. Gayle King, Oprahs magazine editor noticed the letter in a stack of mail and posted a photo of it to Instagram. WGME-TV says 83-year-old “Jesus Christ” in northern Waterboro began a letter writing campaign 50 years ago to spread a message of faith and peace after legally changing her name. “Christ” says she sent the letter to Oprah because she likes her but had no idea it would get so much attention. “Most of them think I’m plain crazy and ignore me,” she said. God is not a man that he should lie, and for this Maine resident to change her name to the name of the Lord is taking the Lords name in vain. This is a prime example of the New Age deception of a human being believing themselves to be like God, so much so that they would change their name to act like they are the savior of mankind. Hey Oprah when it comes to God there is only one book THE BIBLE! One of these days, Oprah and Colbert will stand before the God they mock….no, wait, a correction; kneel before the God they mock. It’s all such a poor excuse for what passes as humor these days. First this is sacrilege, but it’s also very corny.